Need to re-focus and get back in touch with yourself after a busy summer? 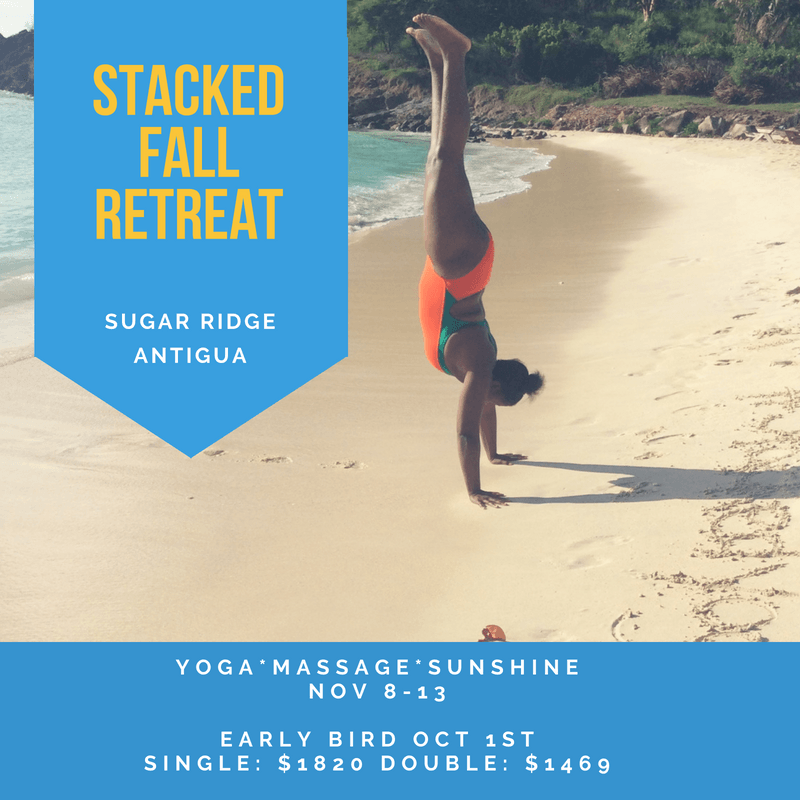 At Sugar Ridge we are pleased to be hosting a 5 day retreat this fall in partnership with Stacked Yoga from November 8-13th. Enjoy a 5 night stay at our resort, daily ocean view yoga classes and posture clinics, breakfast and dinner, hiking and beach hopping (there’s 365 to choose from!) and more. Be sure to visit our website for full details and prices. Early bird rates are available until October 1st and space is limited, so contact us to register now! The required $200 deposit can be made online here. Get ready to relax and release in beautiful Antigua—you’ll return home feeling rejuvenated!